Studies have proven that when implemented well, project-based learning (PBL) can increase retention of content and improve students' attitudes towards learning, among other benefits. Edutopia's PBL research review explores the vast body of research on the topic and helps make sense of the results. In this series of five articles, learn how researchers define project-based learning, review some of the possible learning outcomes, get our recommendations of evidence-based components for successful PBL, learn about best practices across disciplines, find tips for avoiding pitfalls when implementing PBL programs, and dig in to a comprehensive annotated bibliography with links to all the studies and reports cited in these pages. 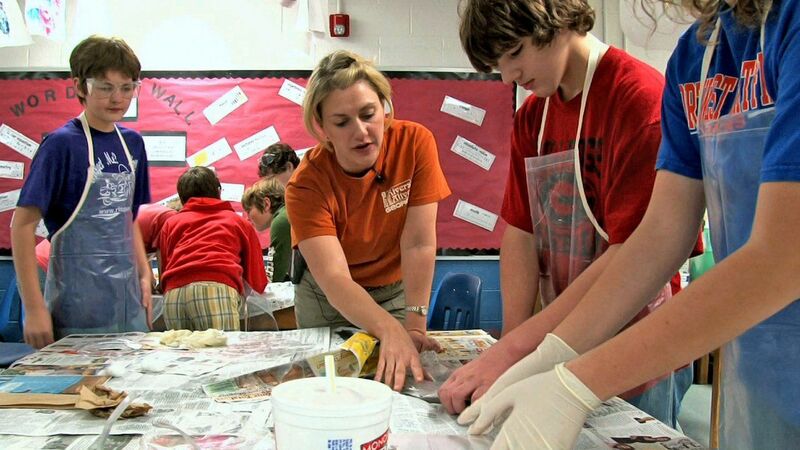 Teachers can create real-world problem-solving situations by designing questions and tasks that correspond to two different frameworks of inquiry-based teaching: Problem-based learning, which tackles a problem but doesn't necessarily include a student project, and project-based learning, which involves a complex task and some form of student presentation, and/or creating an actual product or artifact. These inquiry-based teaching methods engage students in creating, questioning, and revising knowledge, while developing their skills in critical thinking, collaboration, communication, reasoning, synthesis, and resilience (Barron & Darling-Hammond, 2008). Although these methods of inquiry-based teaching differ slightly, for simplicity they're combined in these pages and referred to as project-based learning or PBL. Studies comparing learning outcomes for students taught via project-based learning versus traditional instruction show that when implemented well, PBL increases long-term retention of content, helps students perform as well as or better than traditional learners in high-stakes tests, improves problem-solving and collaboration skills, and improves students' attitudes towards learning (Strobel & van Barneveld, 2009; Walker & Leary, 2009). PBL can also provide an effective model for whole-school reform (National Clearinghouse for Comprehensive School Reform, 2004; Newmann & Wehlage, 1995). You will find much greater detail on these four key components, along with step-by-step instructions on how to put them into place, in the next section. Continue to the next section of the PBL research review, Evidence-Based Components of Success.